Mestre Amir Solsky is a celebrity fitness trainer and nutrition expert and has devoted numerous years in the study of body movement ranging from martial arts to aerial arts. 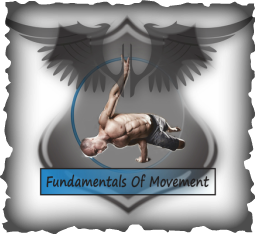 He is a Capoeira Mestre and is the founder of Fundamentals of Movement and Capoeira Los Angeles. He performs regularly doing various circus arts such as aerial and hand to hand balancing, Equilibre, contortion and dance. Amir has been featured on National Geographic’s “Fight Science” and has appeared in various music videos such as Fall Out Boys and Natasha Bedingfield, and commercials such as “journeys”. Amir has been a writer for the online magazines "Onnit" and "unconventional Athlete", he had also been providing content to their workouts. 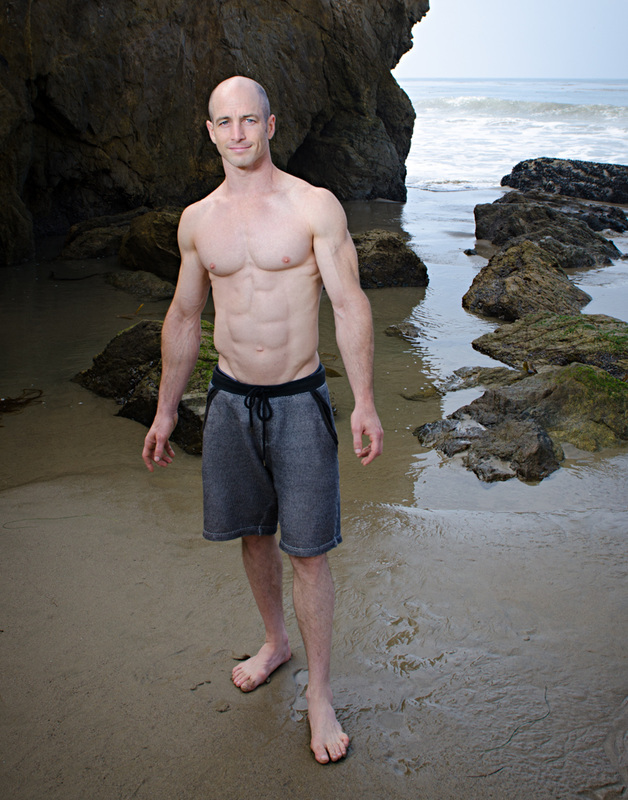 He has a passion for continually developing his understanding of human physiology and movement and is demonstrating the possibilities and capabilities of our ever evolving and unlimited human potential through movement. A few years ago while doing a gymnastics round off (cartwheel type move), I got an injury to my lower back ( L3, L4, L5), doing an X ray exam I was told I have a narrowing in two joints, and was send to do an MRI. At the MRI they discovered I had DDD, That is Degenerative Disc Desease. These tests came after about two years of having pain come and go on and off, where It would take me some half an hour in the morning o be able to stand straight. The doctors told me that the injury wasn't a result of one move, but a damage fom a consistant wrong type of use of the back. and that it was impossible to recover from it since the disc is dry, and it has no capilaries, so liquid and nutrients supposadly can't get in. I was told I need to live with it and that it can only get worst. With my usual approach of never believing to western doctors advice, I took my time to study the real science of my case, I had implemented a few nutritional cycles followed with majour changes to the way I would use my body, together with very specific training protocols, and I am very proud to say that I had just came up with this X ray shot today, doctor said I have no back problem and that all discs looking good. I'm healed!! Last week I gave the story of my healing from Degenerative Disc Disease for the purpose of shaking people up from blindly believing in western doctors and their advice, which to majority of my life observation been causing great damages to people way beyond the benefits. Of course people damage themselves in other ways as well. 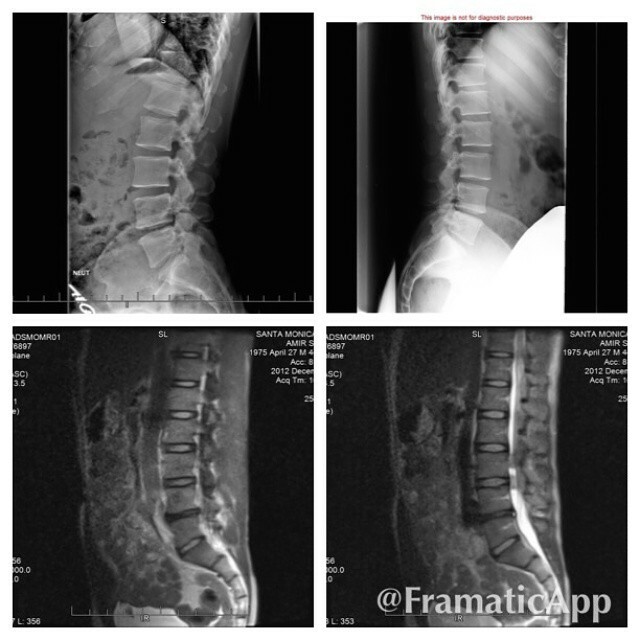 Following on my post from last week I found and added my original x ray and MRI. I had tried to deal with my back pain for two years before going to do this imaging with no help. At the picture you can see at the top left the initial X ray from 2012, where they found that the surface between my lower two vertebras was narrowing. Top right is the new X ray from 2015 where you see it isn't narrow. As a result they sent me to do an MRI, the second disc from the bottom is brown which mean it's dry, the MRI imaging catch the liquid and the other discs are looking yellow. Since posting last week I been getting lots of exposure with many calls for help and assistance. I would like to mention that I don't have a quick solution for any one, and my solution wasn't quick at all either. I am just saying it is doable, and it will probably take some of the forms mentioned in my earlier post which were: nutrition, changes in habits of movement and specific work to force the area to adapt to correctly applied stimuli. Another big part is to love yourself enough, and when I say love yourself, it is very easy to give empty promises of love, but it takes loving yourself enough to avoid temptations and any reasons that would take you away from doing what is really needed for your healing. People been asking for my help which I am happy to give, it is a process that I will be happy to take with whom ever needs it. Whether people be taking it with me or be inspired and figure it on their own I will be very happy if I knew I managed to help anyone. Those who are seeking my help, I can do so world wide with online programs and nutrition consultations on Skype.